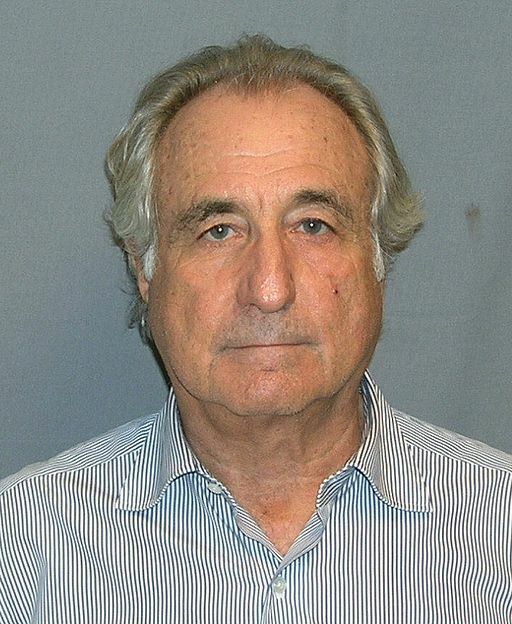 As I shake my head over the recent news that three Democratic senatorial candidates (Carnahan in Missouri, Conway in Kentucky, and Ellsworth in Indiana) now endorse extending all of the Bush tax cuts–even for those in the top 1% of the nation’s income bracket–I can’t help but think about Bernie Madoff and Elie Wiesel. For those who don’t recall, the Bush tax cuts slashed tax rates for all Americans, rich and poor. Of course, the biggest slashes went to those at the highest income brackets, but this was consistent with the Reagan-era trickle-down theory, which posited that if the government put more wealth into the pockets of the affluent, that wealth, through an indirect maze of investments and spending by the well-to-do, would “trickle down” to those in the lower income brackets in the form of jobs and economic growth. Still, even when enacting those tax cuts, the Bush-era Congress specifically recognized that if the lowered tax rates were allowed to remain in place for too long, the negative impact on budget revenue would be catastrophic. This was one of the reasons why the law enacting the tax cuts expressly required those cuts to be temporary, not permanent, with an expiration date of year-end 2010. Fast forward, and here we are. Even before the onset of our current Great Recession, the rosy promises of tax-cut-induced trickle-down prosperity were looking fanciful, if not downright fraudulent. From 2002 through 2007, just before our economic downturn, while income for the top 1% of the nation’s families rose by an average of 10.1% per year, income for the remaining 99% of the nation’s families rose, on average, by a mere 1.3% per year (click here to see the study). A trickle? Maybe. Prosperity? No. Add the cost of two wars, the bailout of our financial and automobile industries, and the Hindenburg-like bursting of the housing bubble, and we find ourselves–barely four months away from the expiration of the Bush tax cuts–in our worst economic condition since 1929. By almost every measure, the country is faring worse financially today–far worse–than before the Bush presidency, putting the lie to his rosy promises of tax-cut-induced trickle-down prosperity. So what does this have to do with Bernie Madoff, Elie Wiesel, and those Democratic senatorial candidates? Well, Madoff, as we all know, sent thousands of investors to their monetary ruin by getting them to believe in the fairy tale of his financial omnipotence. His too-good-to-be-true track record was, in fact, too good to be true. His promise of safely beating the market–year in and year out, regardless of economic conditions–was a flamboyant illusion, extinguished in an instant when his fantastical numbers were tested (and bested) by reality. Throngs of players placed their bets in the Madoff shell game, and for years they celebrated their illusory winnings. In the end, though, reality intervened, and billions of dollars were lost. Surprisingly, Elie Wiesel was one of those players. Holocaust survivor, founder of the Elie Wiesel Foundation for Humanity, and a recipient of the Nobel Peace Prize, Wiesel is also known for his best-selling memoir, Night, and is an internationally recognized scholar and humanitarian. He is, indisputably, a brilliant and seemingly selfless man. He’s the sort of man whose brilliance–one might have thought–would have made him leery of Madoff’s astonishing investment record, and whose selflessness–one might have hoped–would have had him eschewing the very notion of those few additional fractions of basis points. Instead, Wiesel succumbed to Madoff’s absurd but seductive allure, and both he and his foundation are reported to have lost millions as a result. On the matter of extending the Bush tax cuts, Republican political leaders have been singing a chimerical, Madoff-like tune: Despite the contrary empirical experience of the past ten years, Republicans continue to promote the flamboyant illusion that the health of our economy requires a continued reduction in the tax burden on the wealthy. Despite the past decade’s exceedingly disproportionate transfer of wealth from the middle to the upper economic class, and despite the resultant ballooning of our budget deficit and our national debt, Republicans continue to promote the too-good-to-be-true idea that our country can prosper–that wars can be waged, that infrastructure can be maintained, that public health and safety can be protected and promoted–only if the most prosperous among us are required to contribute just a little bit . . . less. To now, with the lone exception of Nebraska’s Ben Nelson, Democrats in the Senate have been too smart to fall for the Republican tax-cuts shell game. To now, they’ve been fairly united in agreeing with President Obama, who recognizes that extending the tax cuts for the wealthiest Americans now–particularly when those tax cuts failed in their stated purpose of improving the economy, particularly at a time when joblessness and budget cuts have greatly enlarged the pool of needy Americans, and particularly at a time of dangerously high levels of national debt–would be an exercise in social callousness, as well as financial idiocy. But with Democratic senate candidates Carnahan, Conway, and Ellsworth now sharing the contrary stance of sitting Senator Ben Nelson, and with an election looming, one wonders whether other politically pinched Democrats may surrender some of their smarts to buy into the fictive, discredited Republican notion that more can come from less. Elie Wiesel’s involvement with Bernie Madoff was emblematic of the sad but age-old truth that when it comes to issues of dollars and cents, everyone–even the brilliant and charitable among us–has a capacity for a certain amount of stupidity and greed. So when Republicans from Reagan to Bush sold the notion that tax cuts for the wealthy would make everyone richer, we could perhaps forgive those–even the brilliant and charitable among us–who agreed to give it a try. But just as Madoff’s imprisonment testifies to the fallacy of his investment prowess, our shattered economy testifies to the fallacy of the Reagan-to-Bush trickle-down nonsense. For now, enough Democratic lawmakers seem to understand this. Let’s hope they hold firm as the issue comes to a vote this fall. With the Republican feed-the-rich tax strategy exposed as a fraud, extending the Bush tax cuts for the wealthiest Americans now would be as loony as investing in Bernie Madoff’s prison commissary account.